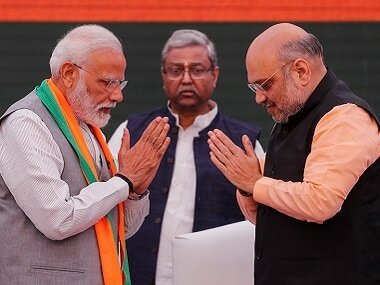 New Delhi: As the cornerstone of its national mission for financial inclusion, the union government launched the Pradhan Mantri Jan Dhan Yojana on 28 August 2014. The scheme would extend banking services to the hitherto unbanked and contribute the first letter to the acronym JAM (Jan Dhan, Aadhaar, mobile), the holy trinity that presides over the prime minister’s dream of a cashless India. Jan Dhan, like many a government scheme that preceded it, floundered. 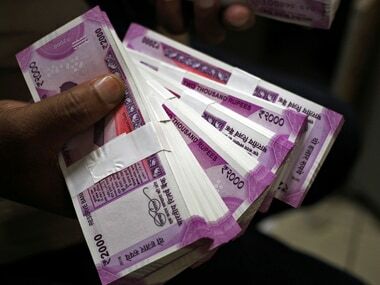 Until November 2016 that is, when the prime minister’s second assault on cash (this time black money) sent a tidal wave of unaccounted money flooding into hastily opened Jan Dhan accounts. ‘J’ had unwittingly become the preferred conduit for money laundering! The problem is the banking system is incomprehensible and quite inaccessible for many of the urban poor. The most important financial service they need is a money- transfer service, which the banks consider a waste of time. Sanjay Kumar, 36, is a daily-wage worker from Bhagalpur, Bihar. He opened an account in 2016 with the help of a friend who works as a security guard at the bank in his village, by submitting his Aadhaar card as residential proof. But he hasn’t been inside a bank since. He transfers money to his relative’s bank account back home through a cyber cafe, which charges him Rs. 60 for every transaction. Many labourers give their money to labour contractors who transfers the money to their families back in the village. Arvind Rai, 33, who works as a contractor, says he transfers at least Rs.1 lakh every month. Rohit, who owns a cyber cafe in Begampur, says he transfers money using websites such as eko.co.in and myoxigen.com for 15-20 customers daily. He says many ration shops and mobile stores also transfer money on request. Manoj Kumar, who owns a mobile repairing shop in Mangolpuri, Delhi says he helps 10-12 customers do transactions of Rs. 40,000-50,000 every day. 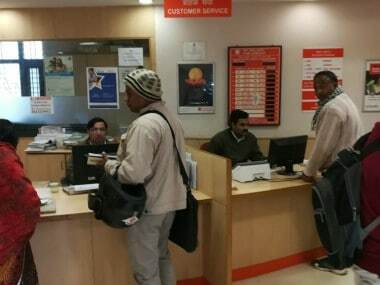 Dheeraj Kumar, 49, senior manager at Bank of Baroda, insists that bank staff help uninformed customers and that big branches have a dedicated customer-care counter. J.K Bansal, bank manager at Syndicate Bank, is more candid: “Jan Dhan isn’t working for ignorant workers as they are not educated and fear using an ATM card. Government should provide cheque book to Jan Dhan account owners and should make provisions to validate the Aadhaar card (across) the whole country.” He doesn’t explain how they would write cheques though.